May 17, 2013 by Supernorn. Hello my friends, Supernorn here with some short words about two dimensional spacemen! Atmospherics: Basic atmospherics are in, remove a floor tile or open an airlock to watch all the air get sucked out the room. 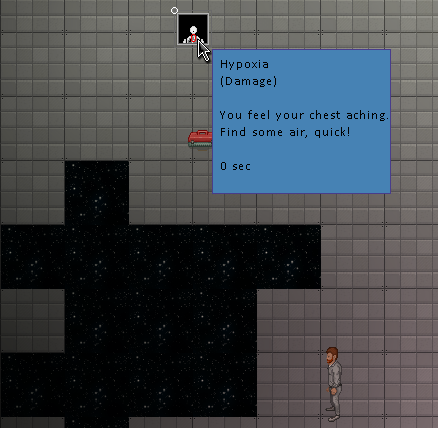 The Hypoxia effect indicator will now pop up to show when you’re taking suffocation damage..
Crafting: There’s a very bare-bones implementation of crafting in right now. 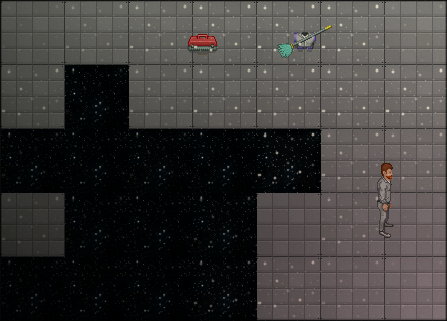 Currently you add two objects together and if it matches with the game’s recipes you’ll have successfully crafted an item. This is obviously very simple but will be fleshed out later on down the line. This section of the graphical interface is also fairly outdated. 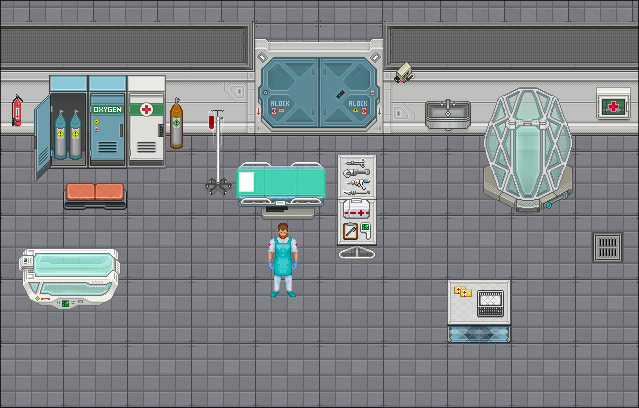 Health System: Health has been in for quite some time, and is a fairly basic implementation for now. However there are multiple types of injury you can sustain. Getting pierced with a sharp object will cause you to start bleeding and lose health, particularly severe wounds will continue to bleed until you treat them with bandages. Don’t forget to follow us on twitter, or like us on facebook – where we continue to post small updates every now and again. I’d prefer the intent system for the hot bar cause I feel those would be used more than anything. Also the Lockers seem a bit large and bulky. Other than that everything looks superb, can’t wait to play! I think keeping the intent system is the way to go. Intent can have effects outside of item usage (ie. aggressive/defensive could block people moving past you without pushing you out of the way – good for security). For crafting, is it using the idea of combining items held in each hand, or dragging items into a “crafting grid” because I would rather it take the more classic SS13 approach (combining two items held in your each of your hands). Also: is that the crystal maze – crystal dome?! Looking really good! I only have critique for the suffocation symbol which I think is not clear enough – the rest of the images are really, really good! Keep up the great work! I’m looking forward to playing it sometime in the future! This is what I love to see! Thanks for the update. So much win! I’ve been waiting for this for so long and finally it’s here! Looks really great and I am so happy that you are still going strong making progress! Never gonna run around and desert us! Looking amazing so far! Keep up the good work! Glad to see how it’s coming along! intents seem to work fine. I’d say the important thing is to have robust hotkey support so that players can switch from any intent to any other with their left hand instantly without needing to click on a fiddly little UI. control-A control-S control-W control-D, maybe, somethin like that. on which topic: is WSAD support planned? because…it would be magnificent. I like what I see, that artstyle is beautiful. As for the intents, I’m not afraid of change, but the old system sounds much better. 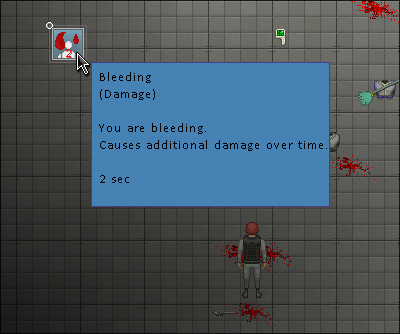 Button should probably be bigger as well, since trying to click the tiny button to close something when someone is trying to murder you is annoying. these sprites look amazing, id love to see more timelapses though! Is it true that server sizes are locked at 35? any release in the near future? Will it be as depth as the current ss13 with medical and atmos/power/comms? Oh also I forgot to say, you shouldn’t do a crafting window. It makes it feel much worse. In the current ss13 its much more fun just clicking things together. Love the feel of putting stun gloves together (rip), making the fun stompy mechlies, and watching as people have no clue as to how spears are made. I think the intent system works fine and adds good depth, the thing that makes it clunky in current Spessmans is the fact there’s no quick-access button to switch intents. Having the different intents bound to hotkeys seems like a good system. On that note it would probably be worth having the Tab button bound to switching between hands, to streamline that too. Oh, it might be worth mentioning in an item’s description what precisely it does when used with different intents, if anything. That would go a long way to demystifying the game’s mechanics. Please keep the intent system the way it is! 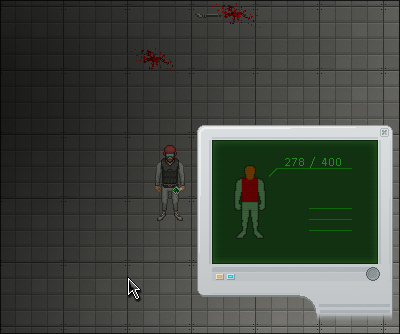 Part of the depth of SS13 is discovering what different things will do on different intent settings. Focus more on creative ways objects and the people carrying them can interact. It seems like it would be much easier to work with from a design standpoint, and the bar doesn’t really have a place here. You might consider having a hotbar for wizards and cyborgs, though. I hope you have the time to port this over to mac, when it is finished. It would be appreciated by a lot of people. By now, my lungs were aching for air. It really is nice to see such a great amount of progress from you guys! 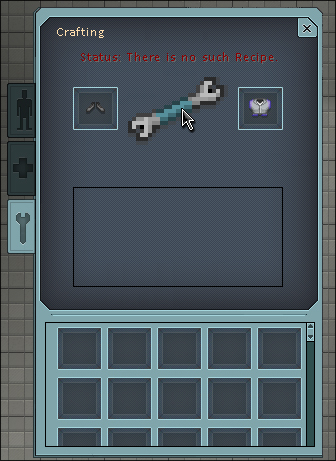 I really like how you’ve made the crafting system easier to use than in BYOND. The new art assets look fantastic and I like the idea of the new hotbar! I appreciate you guys taking the time to post updates on your progress, I hope I will have the pleasure of seeing more in the future. Looking awesome! Can wait for an open beta. Also I prefer the old system both for intents and crafting. Keep it up! Can u open kickstarter project?